Kings Commemoration Day or also called Hung Kings Temple Festival is celebrated from the 8th to the 11th days of the third lunar month each year. This day honors the Hung Kings. 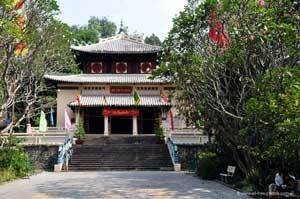 People can attend the main ceremony that takes place at the Hung Temple on Nghia Linh Mountain in Phu Tho Province. The ceremony starts at the base of the mountain and stops at every temple before people offer prayers and incense to the Hung Kings at the Hung Temple to finish. The Hung Kings are the first emperors of Vietnam and the festival honors their contributions.